The Center of Excellence for China Pakistan Economic Corridor, is leading policy guiding Think-tank for effective implementation of CPEC portfolio. Applications are invited in the following areas on contractual basis for a period of 01 year. 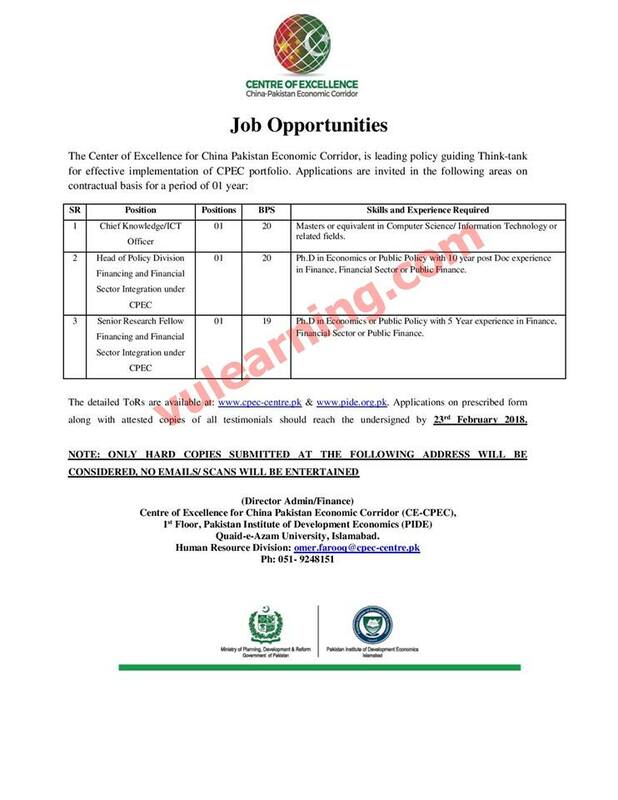 The Latest Advertisement of China Pak Economic Corridor (CPEC) Jobs in Pakistan 2018 at Centre of Excellence Islamabad Appeared in Daily The News Newspaper & CPEC Centre of Excellence website on 8th of February 2018. How to Apply for CPEC Jobs 2018? Applications on prescribed form along with attested copies of all testimonials should reach the undersigned by 23rd February 2018.